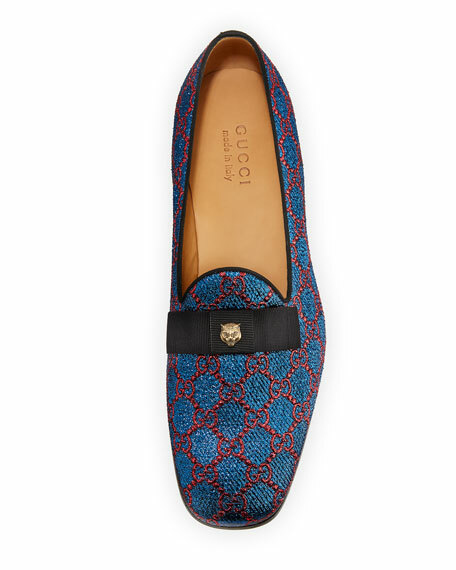 Gucci slip-on loafer in blue and red Lurex® metallic GG print. Black grosgrain bow with metal feline head. "New Gallipoli" is made in Italy. For in-store inquiries, use sku #2382724. 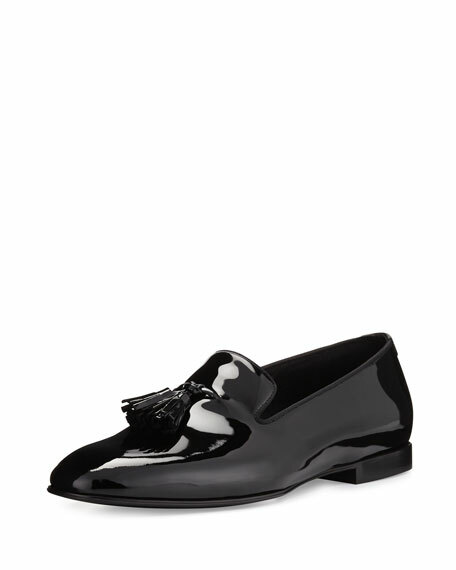 Giuseppe Zanotti loafer in suede and calf leather. Swarovski crystal ornament detail at vamp. Tapered apron toe. Leather sole. 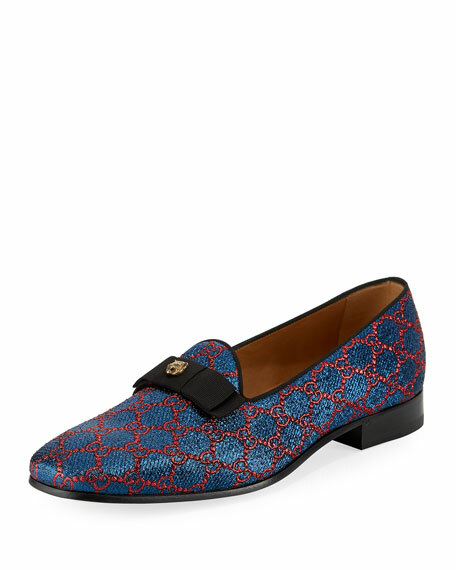 Slip-on style. Made in Italy. 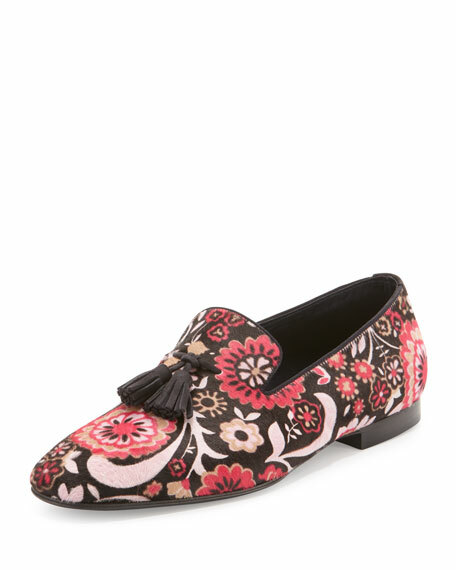 Tom Ford "Chesterfield" loafer in dyed floral-print calf hair (New Zealand). Tapered toe. Tied suede tassels at notched vamp. Grosgrain trim at collar. Slip-on style. 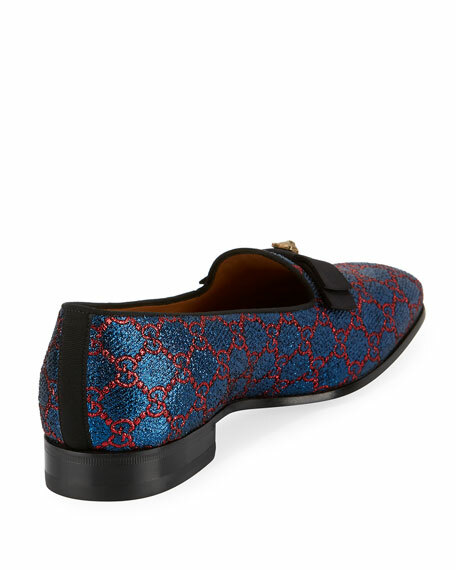 Silk and leather lining. 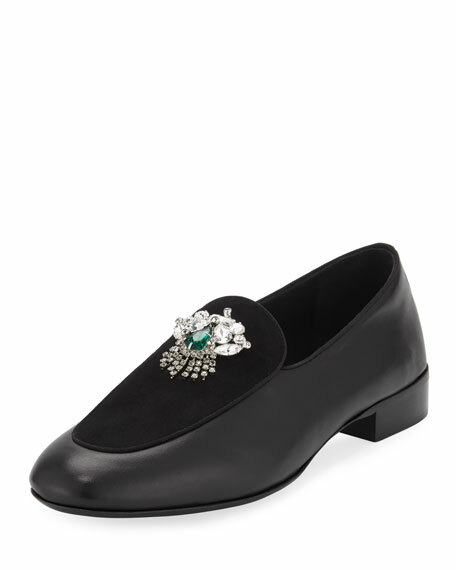 Stacked heel; leather sole. Made in Italy of French material.